Bringing true subject matter experts in an interactive environment where attendees learn practical knowledge, gain insight, get inspired and build a network. As the Editor-in-Chief of ELLE Canada, Vanessa Craft fuses the values and vision of a global fashion magazine brand with a passionate drive to empower women to pursue and live their dreams. An award-winning journalist and thought leader, Vanessa holds the distinction of becoming the first black Editor-in-Chief of any ELLE magazine around the world. Since her appointment in 2016, the magazine has broadcast a live editorial meeting from Facebook headquarters (the first of its kind in North America), launched a national writing competition to increase the diversity of voices in the magazine and expanded the range of cover stars to include more women of colour, including Canadian model Winnie Harlow, South Asian superstar Priyanka Chopra and Lana Condor. Born and raised in Toronto, Canada, Vanessa got her professional start in London, England, as an intern at The Sunday Times Style. Her work history is non-traditional, ranging from fashion, lifestyle and sports journalism to the music industry and includes stints working at the BBC, Channel 4 television, The Sunday Times UK, and as the founder and editorial director of the award-winning website Kickette, a sports gossip site for women. She is also a resident judge on the fashion reality television show, Stitched. 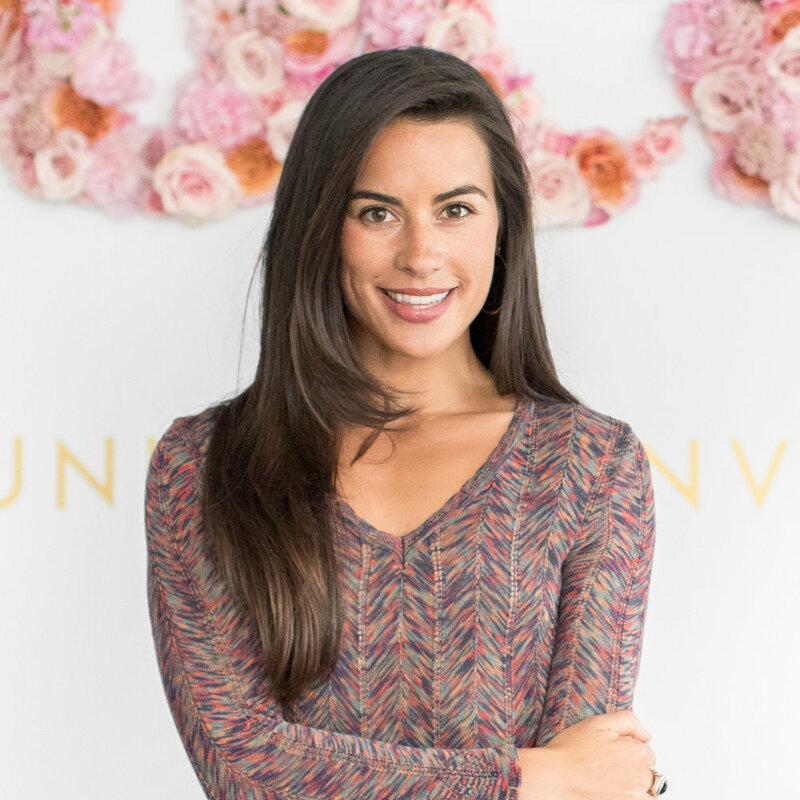 Devon Brooks defined a new market category when she co-founded Blo, the world first and largest blow dry bar chain. Born from her second-year university project, the company spans four countries, with 90+ locations, and has collaborated with international mega-brands like Mattel, Guess, Topshop and Gwenyth Paltrow. The genius Blo concept sparked what quickly became the fastest growing category in the beauty business. PROFIT Magazine named her 1 of the 30 most fabulous entrepreneurs in Canada and was awarded Business in Vancouver's 2017 'Top Forty Under 40'. She was the youngest-ever mentor to join Futurpreneur, Canada’s leading youth mentorship program, and now sits on its board of directors. Her story has been published by McGraw-Hill into Canadian business school curriculum. She's built a reputation for herself by challenging the status quo. After a decade of supporting hundreds of creatives, professionals, start-ups, and Founders in articulating and realizing their goals, she has set her sights on disrupting the personal-development landscape. Her newest venture, Sphere, is a first-to-market technology enhancing the experience of personal coaching. Because, for Devon, growth is the only goal.